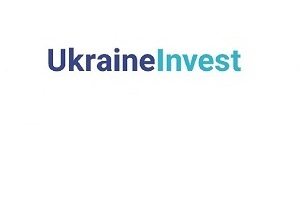 UKRAINEINVEST ISSUES THE BUSINESS WEEK, A FREE ON-LINE PUBLICATION CONTAINING A WEEKLY SUMMARY OF IMPORTANT BUSINESS NEWS IN UKRAINE, FOR 28 APRIL, 2018. France’s Alstom to invest in Ukraine. The company, a leader in mechanical engineering, is developing a project for the production of electric locomotives with a high level of localization in Ukraine and plans to open an office in Kyiv, the press service of the Office of the National Investment Council of Ukraine has told Ukrinform. «Alstom is currently in the process of selecting partners to localize works in Ukraine and attract funding. By the end of June, the company will have a ready-made package offer of cooperation with Ukraine.» the National Investment Council said. Government has proposed creating an inter-agency working group to facilitate IKEA’s arrival. Key officials from several government agencies have met with a representative of IKEA and agreed on ways of easing IKEA’s entry into Ukraine’s marketplace. Daniel Bilak from UkraineInvest said that IKEA’s decision to consider Ukraine is a strong signal about the improving investment environment. Norway’s Scatec Solar to build solar power plants in Ukraine. The company, which operates in the Czech Republic, South Africa, Ruanda, Honduras and Jordan, is considering the construction of solar power plants with a total capacity of 150 MW in Ukraine, the company’s press service reported. Cherkasy Regional Administration announced earlier that Scatec Solar had planned to build a solar power plant with the capacity of 25 MW in Kamianka, Cherkasy region. Bilateral EU-Ukraine trade up by 27%. Ukraine and the EU are pleased with the bilateral trade growth rate stimulated by the implementation of the Ukraine-EU Free Trade Agreement (FTA). First Deputy Minister of Economic Development and Trade - Trade Representative of Ukraine Natalia Mykolska said this after a meeting with EU Commissioner for Trade Cecilia Malmström in Brussels, Ukrinform reports. The agreement has brought the liberalization of free trade, entailing the mutual elimination of duties. Plus Ukrainian exports to EU soar. During the first two months of 2018, exports of Ukrainian goods grew to $7.4 billion, up 17.9% compared to last year, Prime Minister VolodymyrGroysman posted on Facebook. Exports to the EU shot up by 36.2%, and totalled $3.3 billion. Exports to Singapore, Belarus, Turkey, Moldova and Iraq also increased. Government to provide large-scale support to the agro-industrial complex. Prime Minister VolodymyrGroysman told the Ukrainian parliament that the government is preparing to launch largescale programs to support the agricultural sector. The government has begun to allocate investment support to households. It “will do everything for Ukrainian agricultural equipment to be sold but not imported,” to create new jobs and stimulate real economic growth, the prime minister said. President Poroshenko also pledges to support farmers. Speaking at the AGROPORT West Lviv 2018 Forum, the Ukrainian president said that his goal is: “to support the farmer, support the small producer. To create conditions for training, helping, insuring, protecting them. To make them feel that the state cares about them.” He noted that the EU had become the largest market for Ukraine’s products. It was important, he said, that Ukraine brought to it not only raw materials or agrarian products of the agrarian sector, but also products of the processing industry. Giant grain and oilseeds exporter Nibulon to start building cargo sea vessels. The Mykolaiv-based company plans to start building cargo sea vessels in the summer of 2018, Director General of NibulonOlekskiyVadatursky has announced. Nibulon’s shipyard is currently being reconstructed to enable the building of full-sized cargo ships 140 meters long. A specialized marine vessel with a deadweight of 10,000 tonnes will be built first, equipped with two cranes that can handle up to 20,000 tonnes of grain per day. «As we build our own marine fleet, we will extend the transport chain from the agricultural producer to the final consumer on the Nile,»Vadatursky said. Since the beginning of the implementation of infrastructure projects 12 years ago, $1.76 billion has been invested in Nibulon’s operations, $100 million over the past year. Turkey interested in cooperation with Mariupol on electric bus assembly. Mariupol’s mayor VadymBoychenko has held talks on cooperation with potential Turkish partners in Izmir. «During the talks, the Turkish side expressed its interest in cooperation on the assembly of electric buses, production of elevators and municipal equipment,» Mariupol City Council reports. Kremenchuk’s AvtoKrAZ eyes South-East Asian market. Poltava region manufacturer of heavy trucks, AvtoKrAZ, wants to expand into the Southeast Asian defense market. The private joint-stock company displayed its products at the recent 16th Defence Services Asia-2018 (DSA) in Kuala-Lumpur at the Ukroboronprom State Concern’s stand. AvtoKrAZ produces automotive equipment for all sectors of the economy and the Armed Forces. It is part of the financial and industrial group of the billionaire and MP, Kostiantyn Zhevaho. Ukraine active at Berlin Air Show. Representatives of Antonov, the Ukrainian aerospace industry Pivdenne Design Bureau, Pivdenmash (Yuzhmash), Hartron, as well as OJSC Motor Sich (Zaporizhia) and others are actively promoting Ukraine’s products and potential at this major international airshow, Ukrinform reports. «The rocket and space market in the world in general and in Europe in particular is very small, so it is very difficult to gain authority in it. The fact that the European partners buy our components and acquire our technologies shows that the Ukrainian space industry has really reached world class,» the head of Ukraine’s Space Agency said. The head of the Ukrainian delegation, Deputy Minister for Economic Development and Trade Yuriy Brovchenko said that Ukraine has received several concrete offer, including from Germany and France. Antonov says it can fill NATO’s needs for cargo transportation without Russia. Ukraine’s Antonov State Enterprise can fully meet the needs of NATO countries for strategic transportation even after Russia’s withdrawal from the Strategic Airlift International Solution (SALIS) project, the Commercial Director of Antonov Airlines Andriy Blahovisny has told Ukrinform. To demonstrate this, the An-225 Mriya aircraft is being displayed at the 2018 ILA Air Show in Berlin. Meanwhile, Antonov is also showcasing An-178 and An-77 medium-range transport aircraft at the Eurasia Airshow 2018, in Antalya, Turkey, the Ukroboronprom State Concern has reported. IMF concerned about pace of reform. While Ukraine has made significant progress in structural reforms essential for developing the national economy, “some slowdown in the reforms” has been observed, Director of the IMF’s European Department Poul Thomsen said at a briefing in Washington. «Among the positive changes he noted are the formation of a flexible exchange rate and monetary policy of the National Bank of Ukraine, which «continue to deserve very high marks. Because of the “slowdown”, Thomsen said, there has been a «very long delay» in the process of finalizing the IMF review for Ukraine before deciding on the next tranche, originally scheduled for May-June 2017. EBRD president notes importance of privatization in Ukraine. The President of the European Bank for Reconstruction and Development (EBRD) Suma Chakrabarti has emphasized the importance of progress in the privatization process and that transparent privatization is one of the main tools for attracting foreign investment to Ukraine. He said this during a meeting with Ukraine’s Finance Minister OleksandrDanyliuk, who is Washington for the spring meetings of the IMF and the World Bank. Ukraine’s retail trade turnover grows 7.6% in January-March 2018 compared to the same period in 2017. Retail trade turnover of retail trade enterprises (legal entities) was valued at UAH 151.027 billion, or $5.8 billion, the State Statistics Service reports. The biggest growth was recorded in the Vinnytsia (by 12.3%, to UAH 5.676 billion), Zakarpattia (by 11.8%, to UAH 4.971 billion), Mykolaiv (by 10.8%, to UAH 4.911 billion), Sumy (by 9.9%, to UAH 4.265 billion), Lviv (by 9.7%, to UAH 12.939 billion) and Chernihiv regions (by 9.6%, to UAH 4.132 billion). Growth slowed most in the Chernivtsi and Rivne regions (by 1.9%, to UAH 3.321 billion and by 3.4%, to UAH 3.747 billion, respectively). Ukrainian and US steelmakers conclude cooperation agreement. Ukrainian steelmakers’ association Ukrmetprom and U.S.-based World Steel Dynamics signed a memorandum of cooperation in Kyiv on 24 April on arranging international industry forums and conferences for leading market experts to exchange experience. As UNIAN reports, “the agreement can make Ukraine an international platform in Europe for industry representatives from around the world.” Ukrmetprom President Oleksandr Kalenkov said that the moves will not only allow Ukrainian steel makers to obtain more information, expertise and skills, but also help them discover new markets and sectors. In 2017 Naftogaz achieved highest profit growth in six years. It saw 48% growth (UAH 39.3 billion) in net profit in 2017, the company’s press service has reported. Much of this (almost UAH 12.6 billion) stems from the decisions of the Arbitration Institute of the Stockholm Chamber of Commerce, but also from the increase in profit from natural gas transit, which was partially offset by greater losses in the natural gas sales segment. Natural gas transit through Ukraine in 2017 amounted to almost 93.5 billion cubic meters, which was 14% up from 2016. Renewable energy sector being boosted. Deputy Prime Minister – Minister for Regional Development, Construction, Housing and Utilities HennadiyZubko has emphasized the rapid development of renewable energy sector. «We are rapidly moving towards renewable energy sources: over the past three years we have added a 42% increase in the introduction of renewable energy sources,» Ukrinform reports him as saying. Infrastructure Minister urges renewal of Donbas infrastructure. The Minister of Infrastructure Volodymyr Omelyan has called for stronger efforts to rebuild parts of war-ravaged Donbas that are under the government’s control. After visiting the region, he wrote: «We should together with the prime minister and the president launch a powerful program to restore infrastructure in Donbas next year: roads, railways, aviation.” «It is extremely important for Kyiv to support Donbas,” the minister elaborated, “give an alternative to the destroyed plants and lost jobs with new modern projects in industry, agriculture, hi-tech.” Aviation infrastructure needs attention, as currently the nearest civil airports to this region are Kharkiv, Zaporizhia, Dnipro, and Kherson. Ivano-Frankivsk wins 2018 Europe Prize. The western Ukrainian city has won major recognition as a vibrant European cultural centre, which should help boost tourism and external conacts. The annual prize is awarded yearly by the Parliamentary Assembly of the Council of Europe (PACE) to the town most active in promoting the European ideal. The other five shortlisted towns were Bamberg and Munster in Germany, Cervia in Italy, Issy-Les Molineaux in France, and Sopot in Poland.